Strouse offers spooling services to customers who are looking to get more out of a single roll of tape or adhesive. This is extremely beneficial to manufacturers who are using automation equipment and assembly processes. Spooled products allow your machines to keep running, reducing costs associated with labor and waste. Spooling tape is a process where material is spliced together and neatly wound on a core similar to how fishing line is wound on a reel. This allows more material to fit on a single roll without having the diameter of the roll become too large and difficult to handle. Spooling can exponentially increase the amount of material on a roll while saving space by condensing multiple rolls of material into one..
How can Spooling Benefit Your Process? 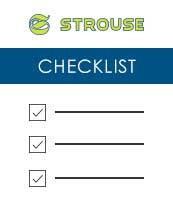 Strouse provides spooling services to customers for many different materials. 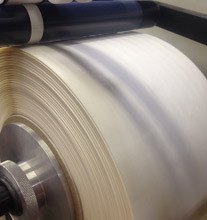 We can spool tape and adhesive, foam, films, nonwovens, and much more. Contact us today if you’d like to learn more about our spooling services.